Madrid (AFP) - Real Madrid vice-president Eduardo Fernandez de Blas has unwittingly unveiled the expected appointment of Rafael Benitez as the club's new coach at a fans' meeting. Madrid sacked popular boss Carlo Ancelotti on Monday after ending the season without a major trophy and De Blas let slip Benitez's arrival when questioned by angry supporters why the Italian had been let go. "Carlo Ancelotti is a phenomenon. We thank him. Until three days ago for me he was the best coach in the world, just like two years ago Jose Mourinho was and starting from next week Rafael Benitez will be," De Blas was recorded saying by Madrid sports daily AS. 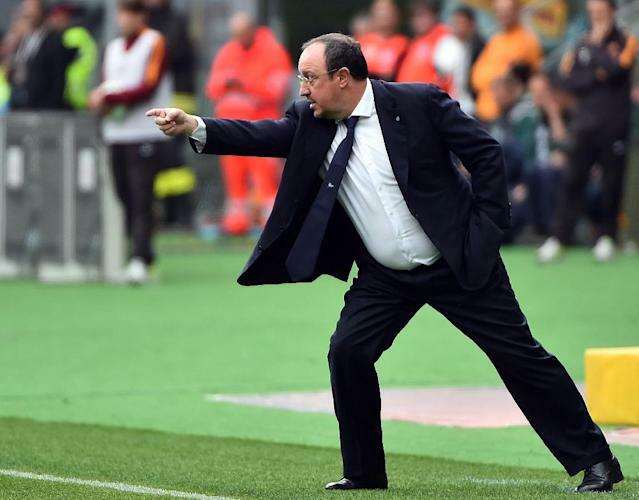 Benitez confirmed last week that he will leave Napoli after their crucial clash against Lazio on Sunday bringing to an end a two-year spell with the Italian giants. The 55-year-old started his coaching career with Madrid's youth teams and has gone on to win trophies with Valencia, Liverpool, Inter Milan, Chelsea and Napoli. However, many of the Madrid faithful remain unconvinced because of his inability to deliver a league title since he left Valencia for Liverpool 11 years ago.